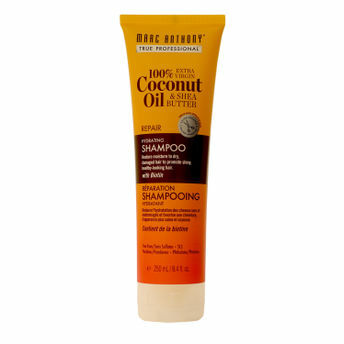 Marc Anthony True Professional's Hydrating Coconut Oil and Shea Butter Shampoo deeply cleanses the scalp and repairs dry areas, split ends and breakage. Coconut Oil and Shea Butter restore, invigorate and revive shine. Biotin strengthens and supercharges healthier, faster growth. Hair is left healthy and frizz free.